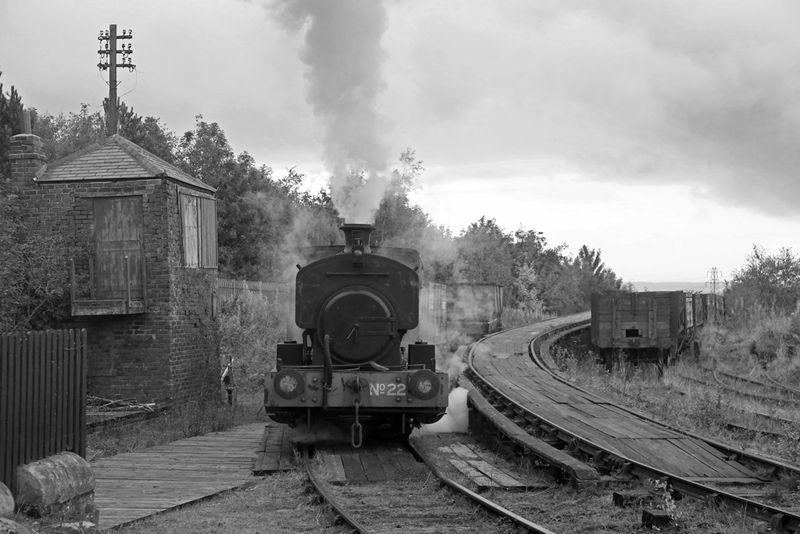 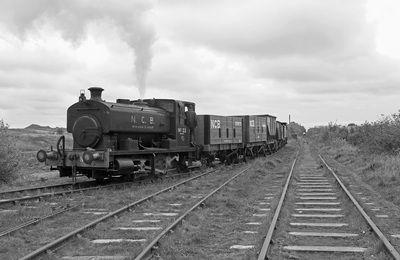 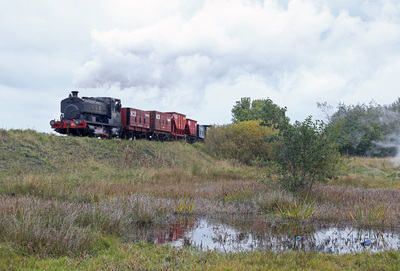 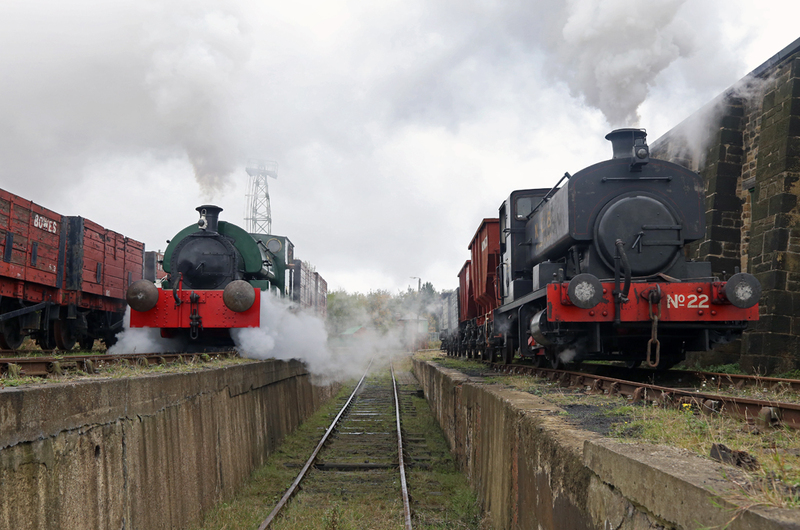 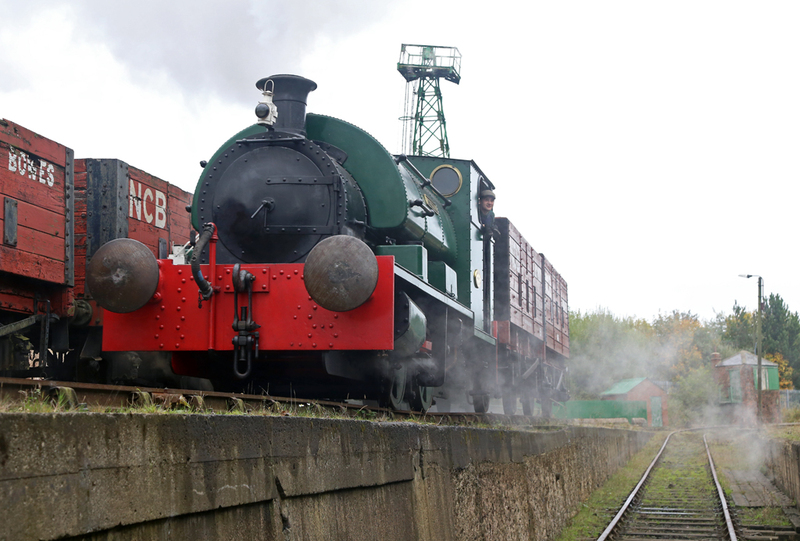 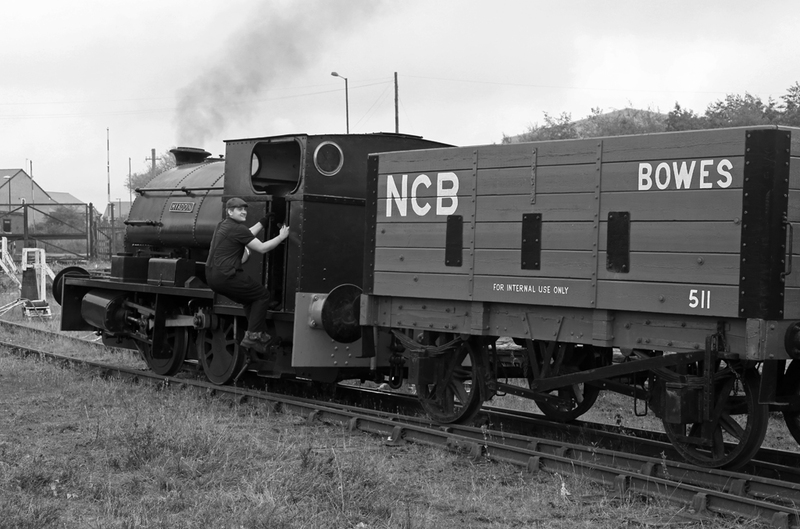 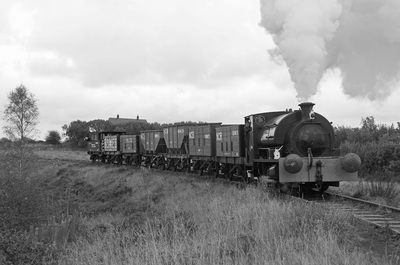 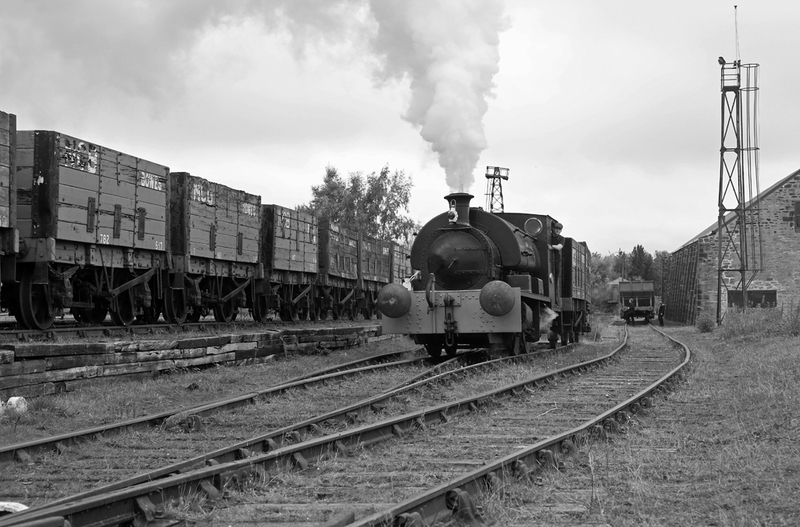 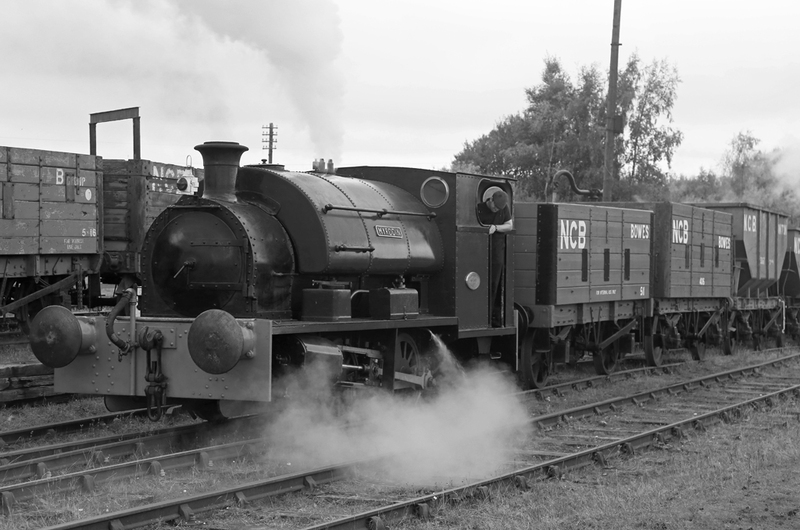 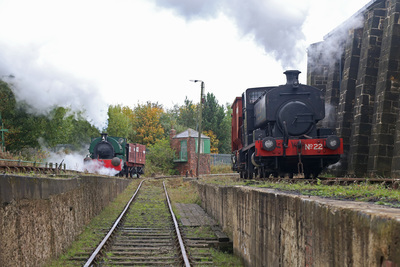 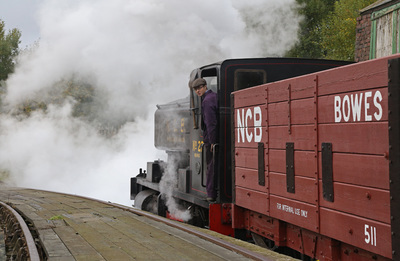 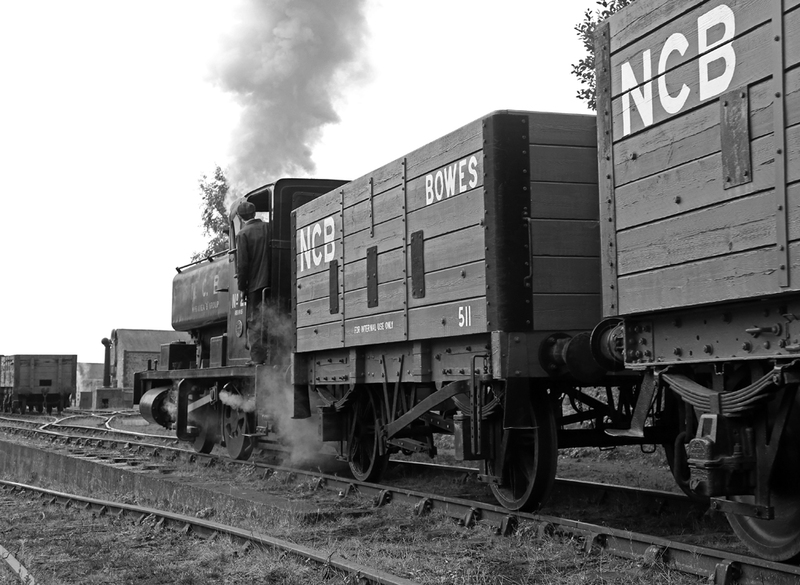 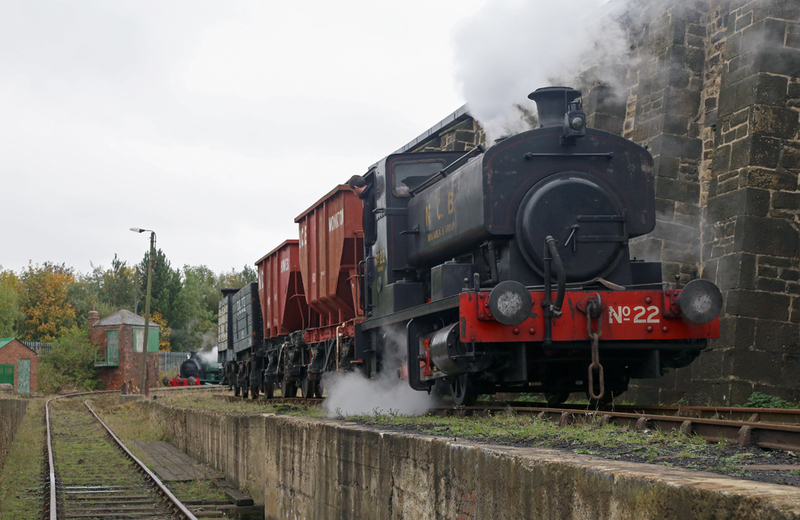 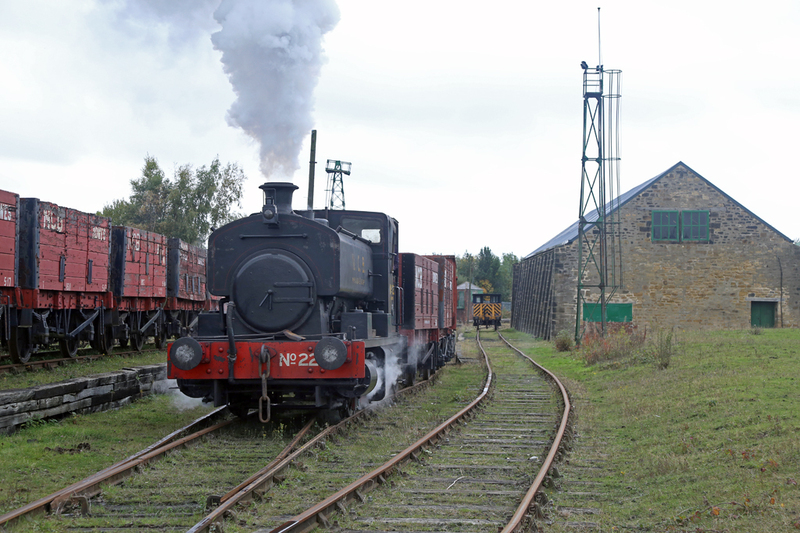 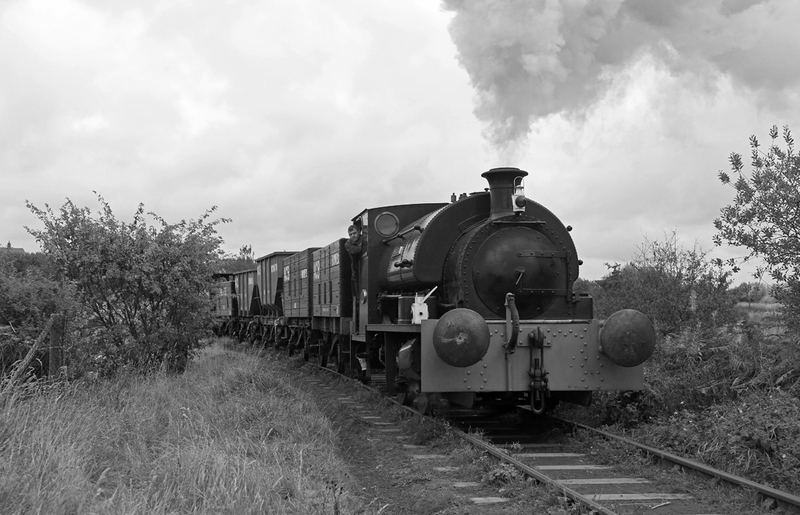 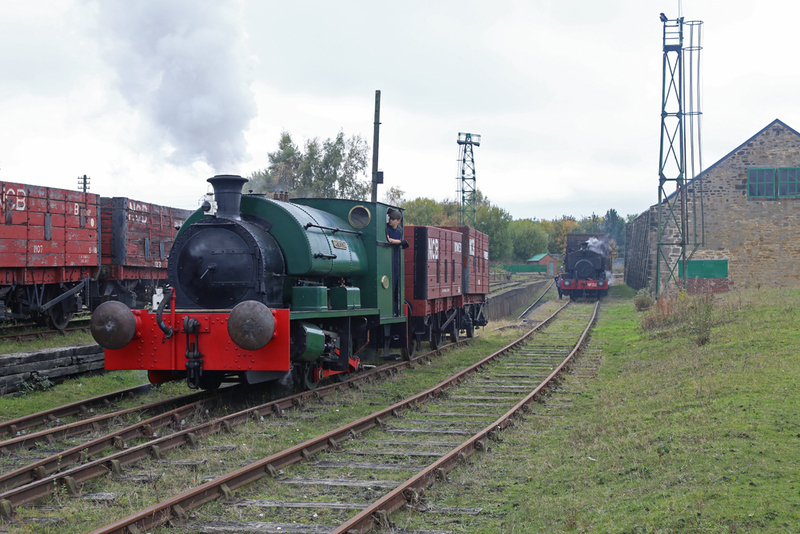 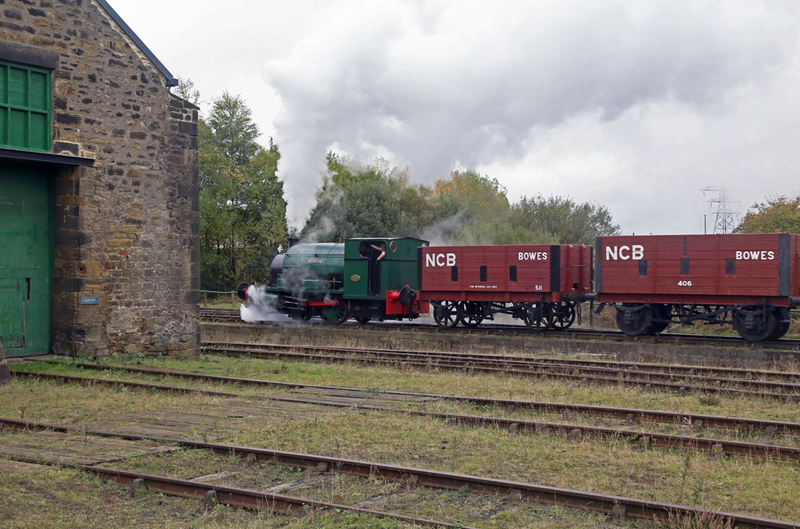 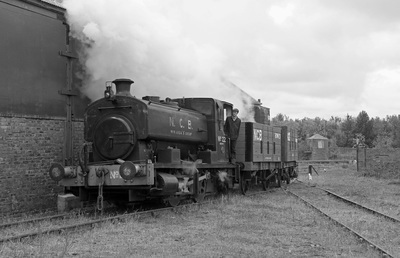 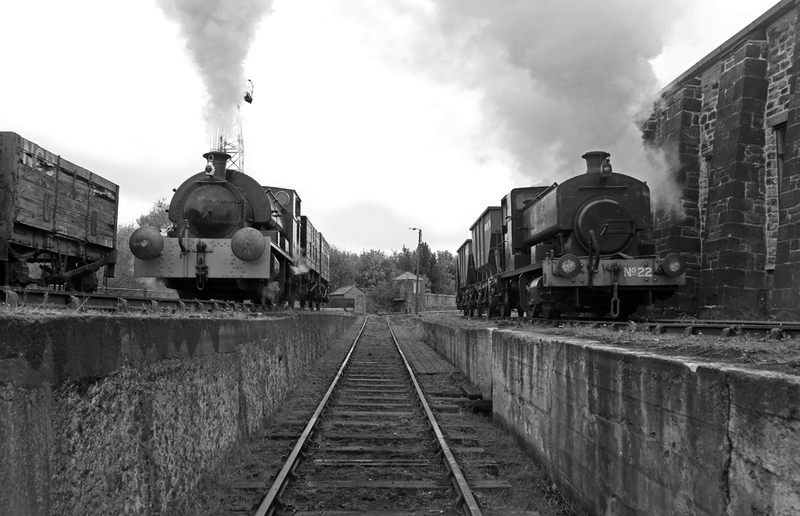 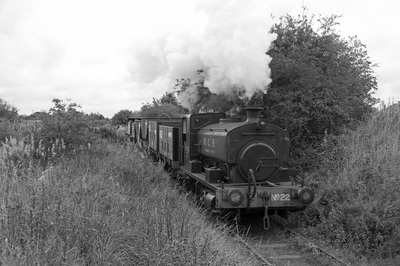 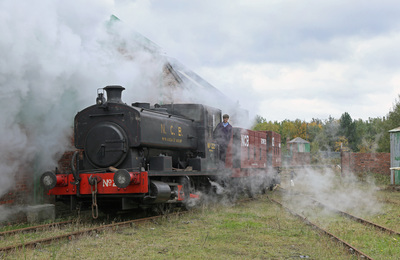 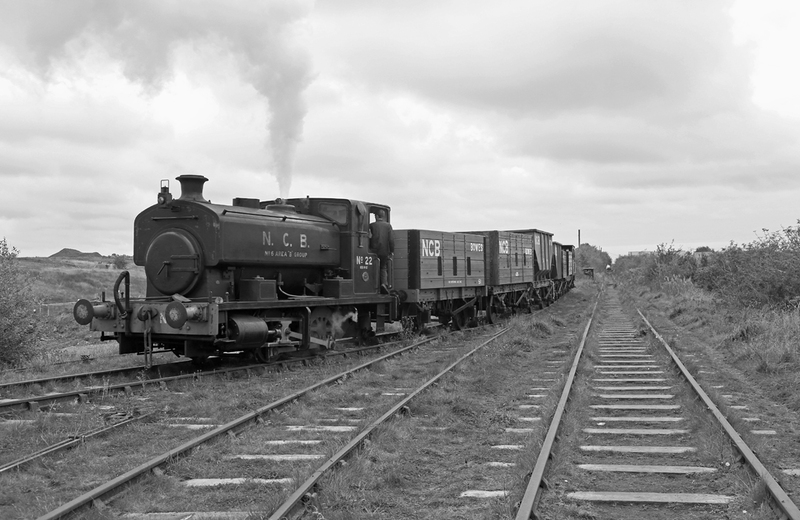 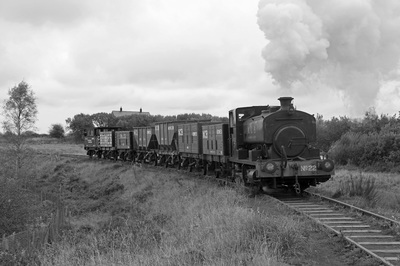 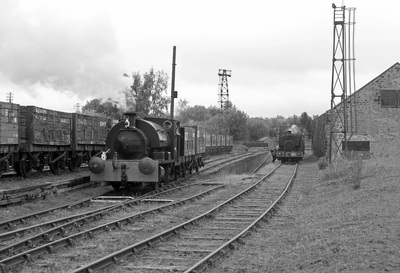 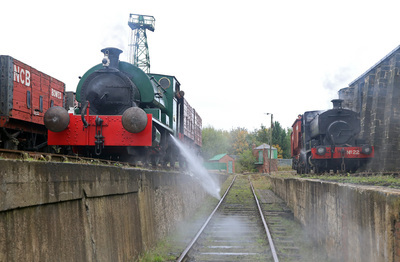 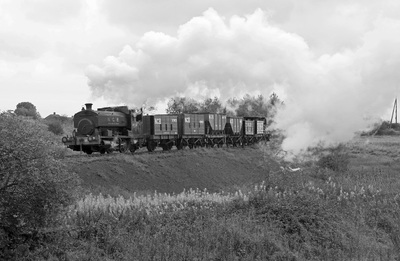 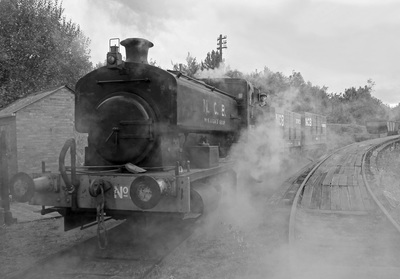 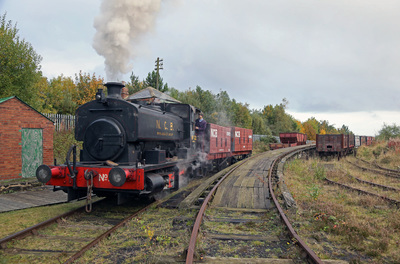 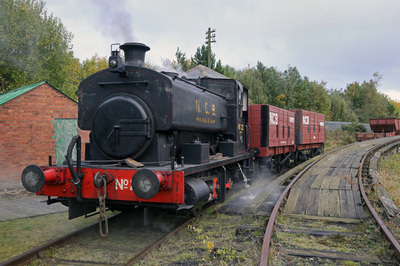 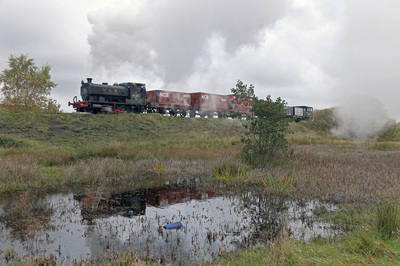 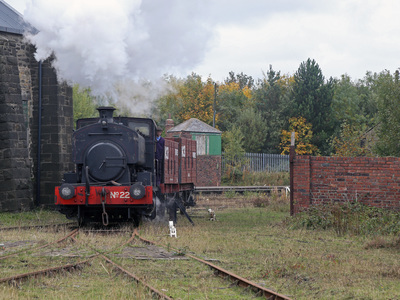 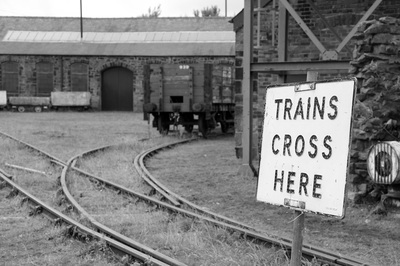 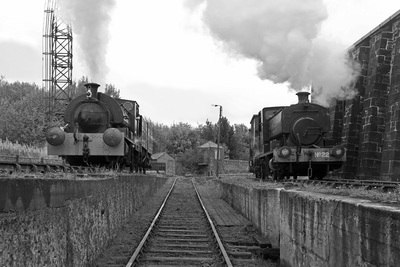 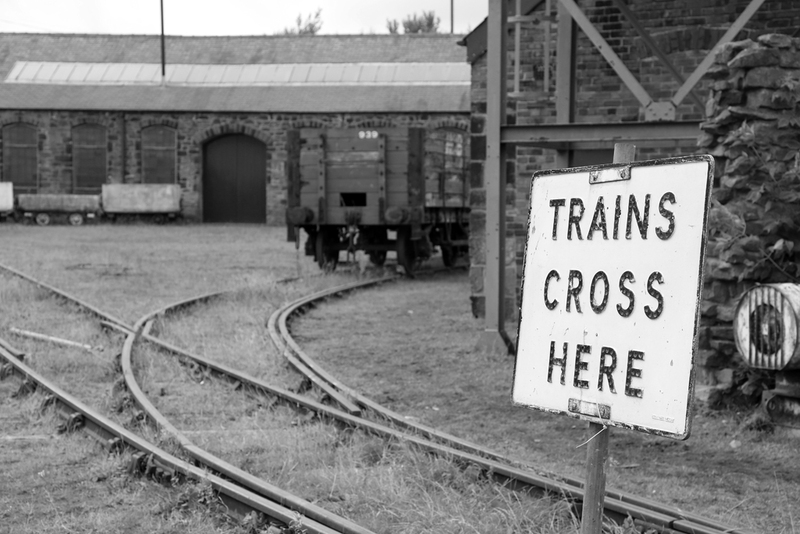 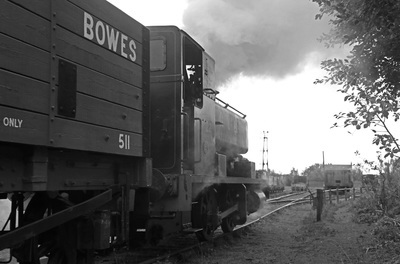 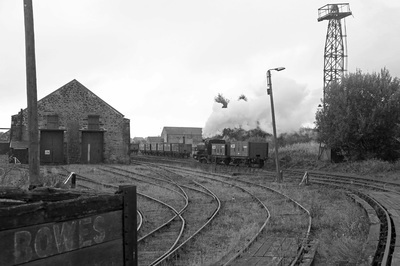 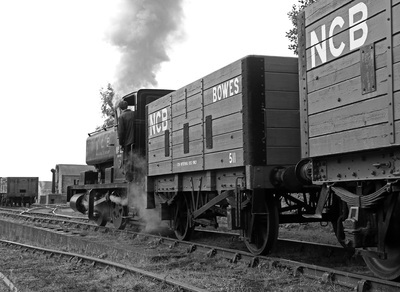 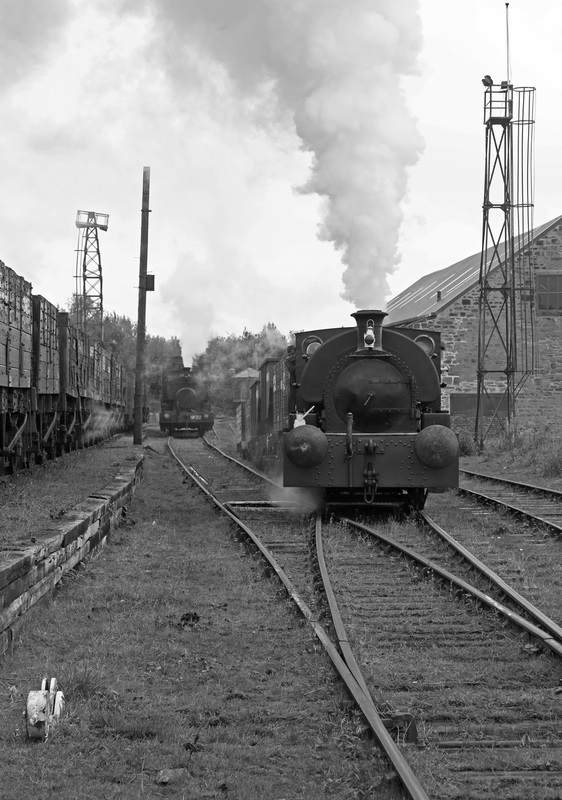 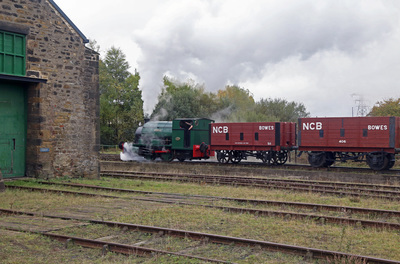 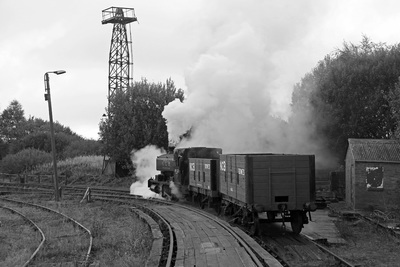 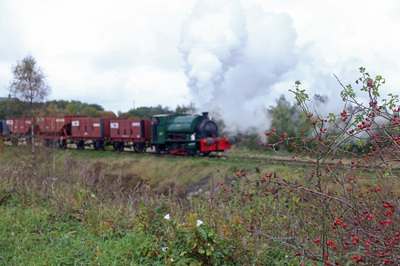 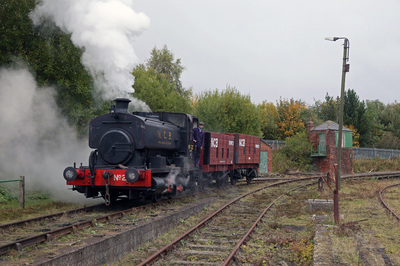 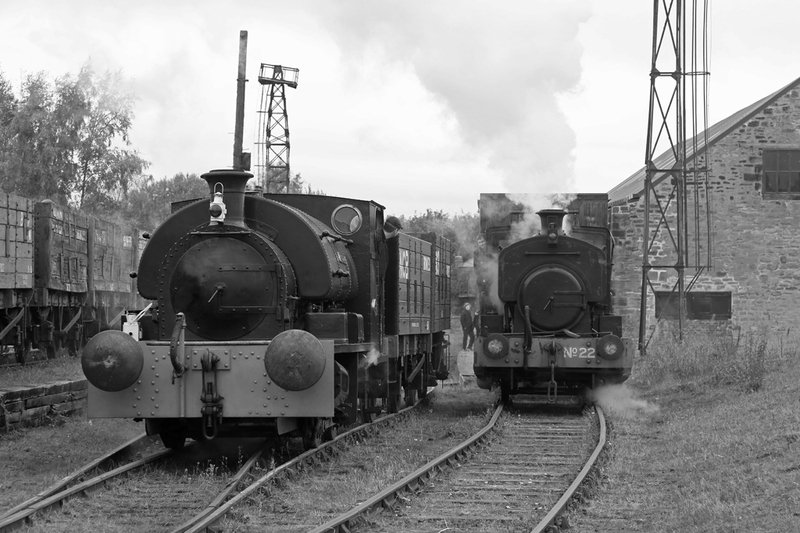 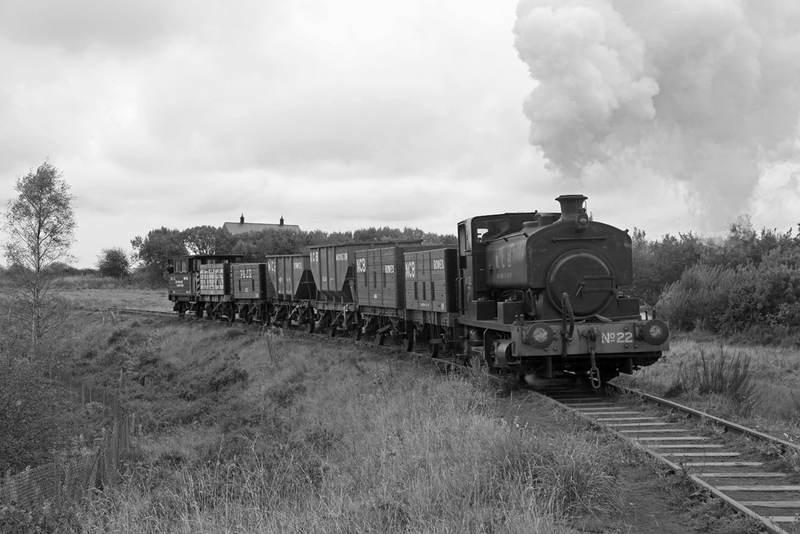 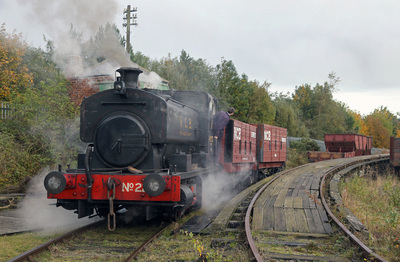 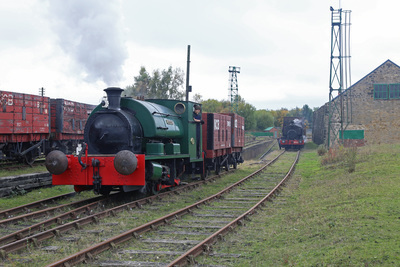 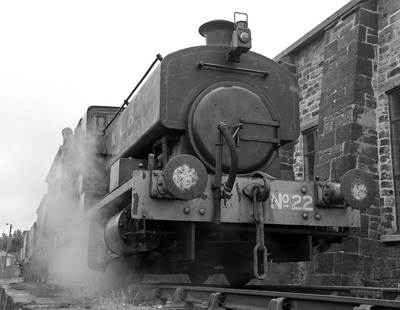 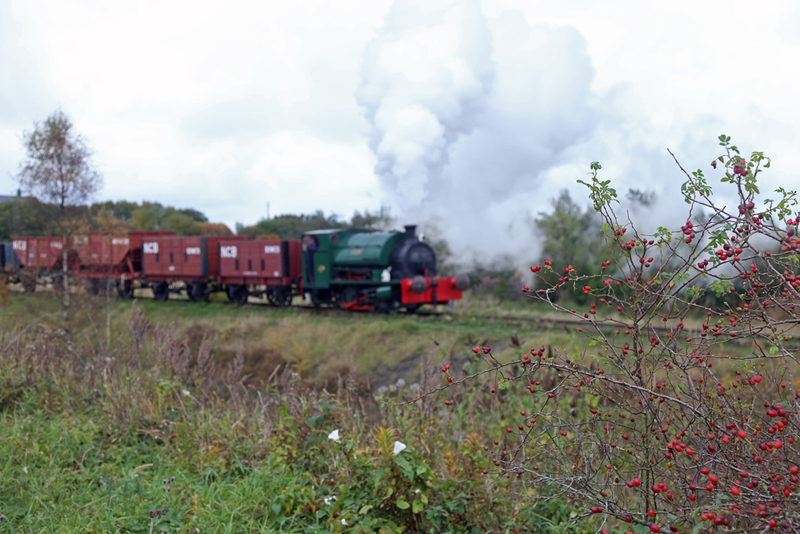 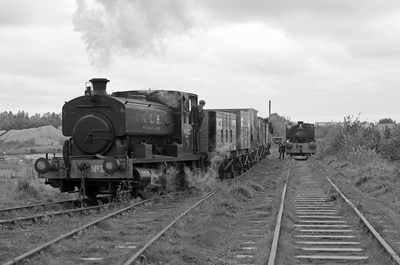 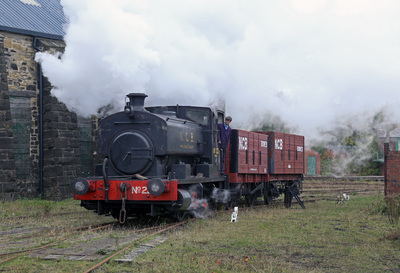 A photo charter at the Bowes Railway, Sunderland organised by 30742 charters. 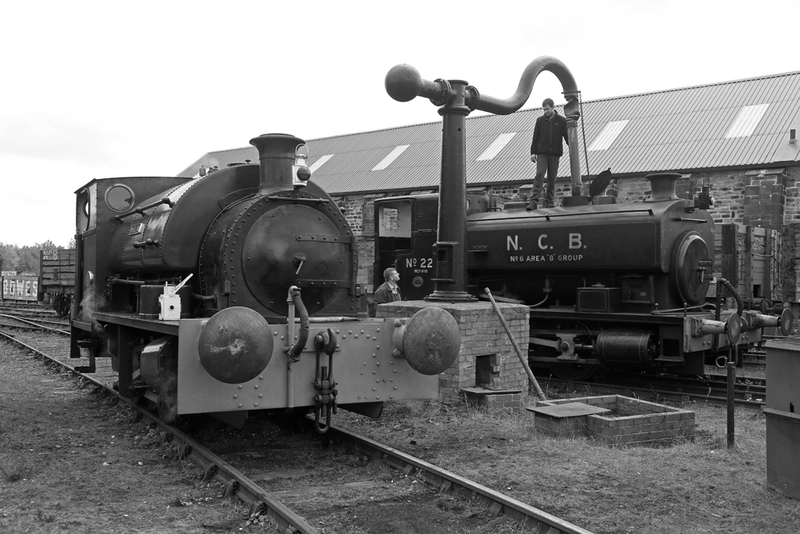 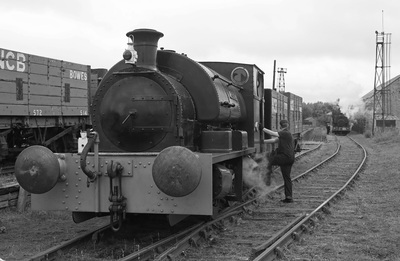 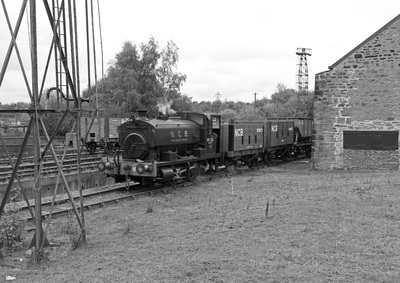 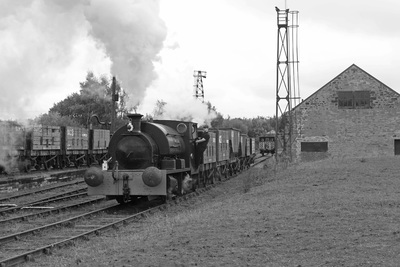 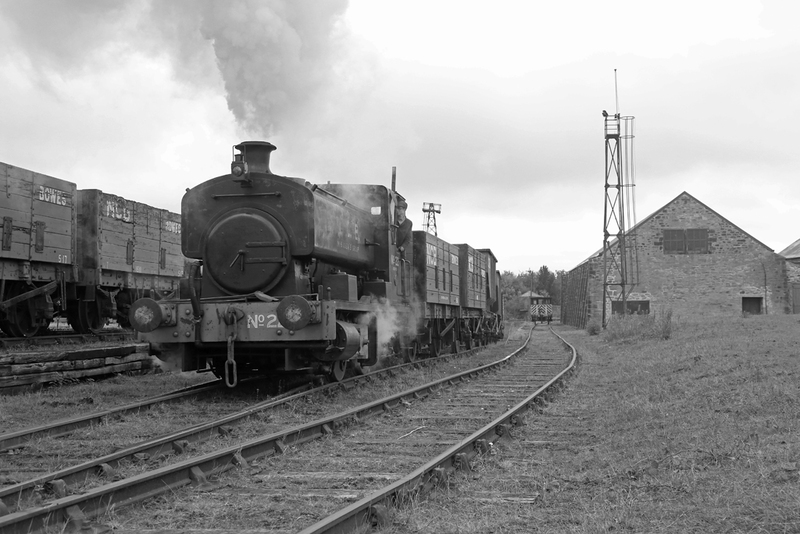 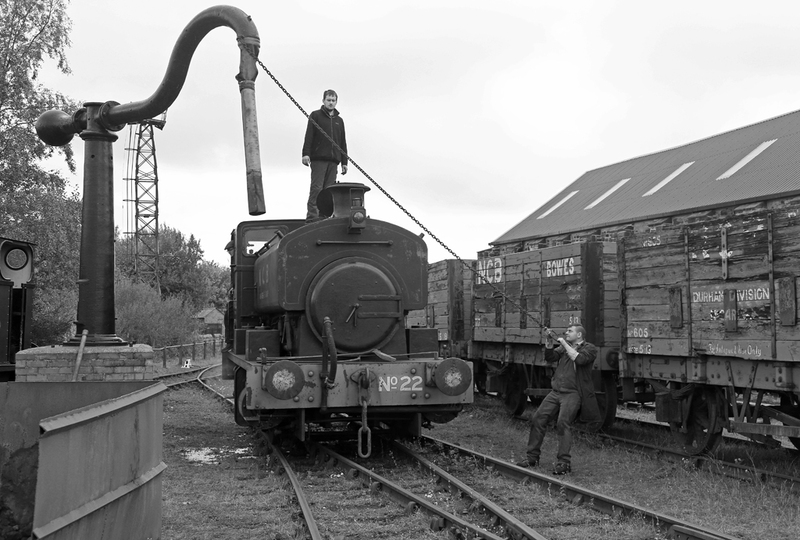 In use on the day was Andrew Barclay No. 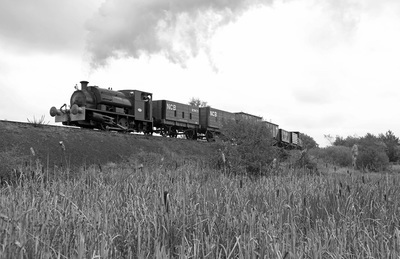 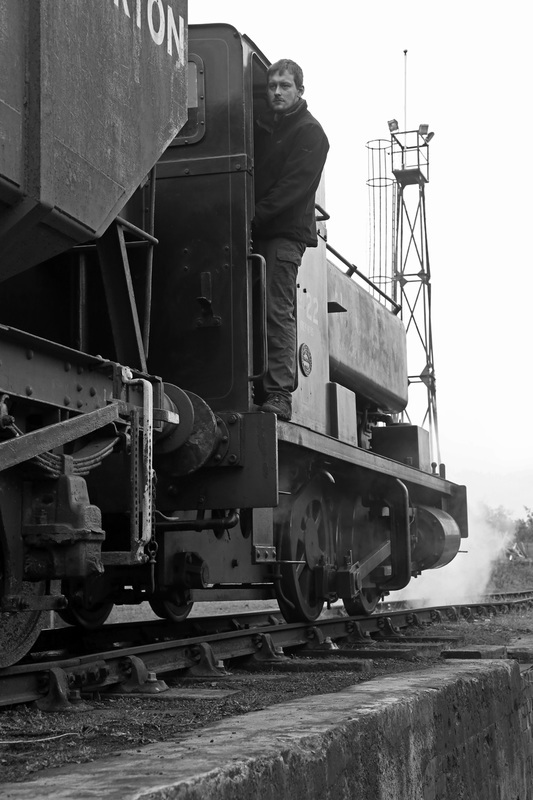 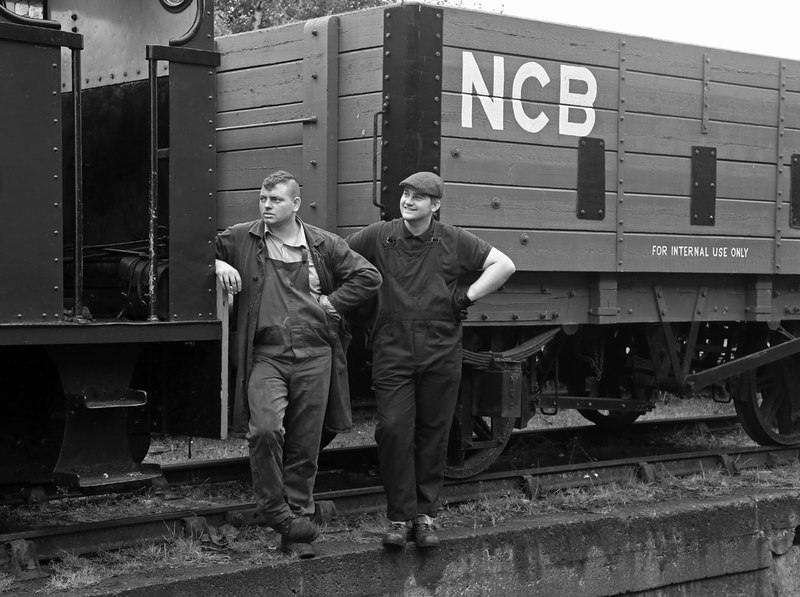 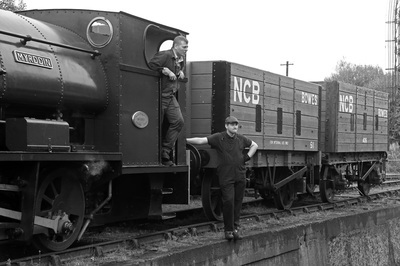 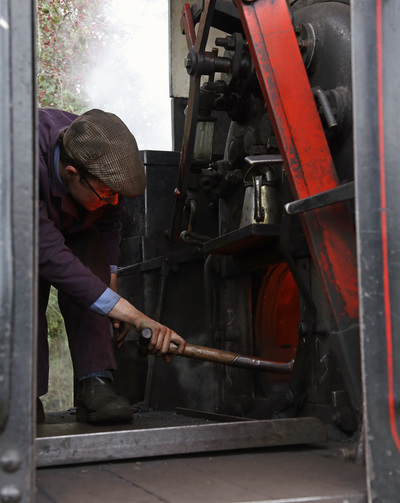 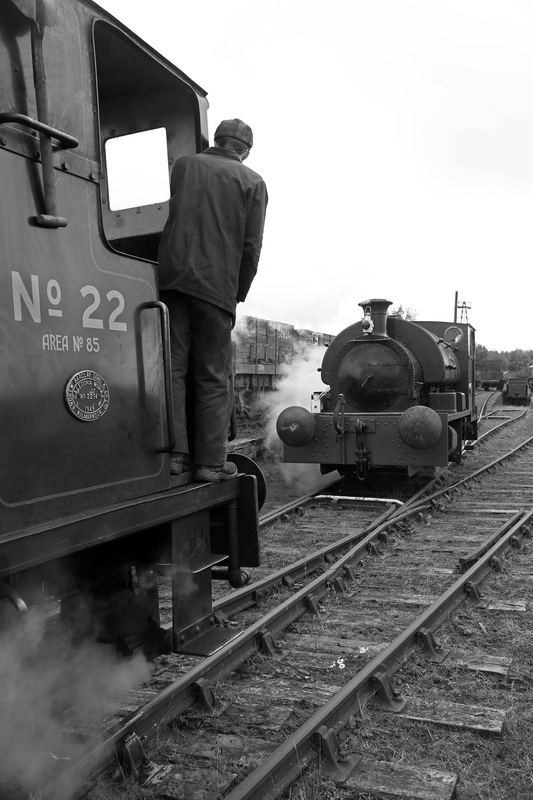 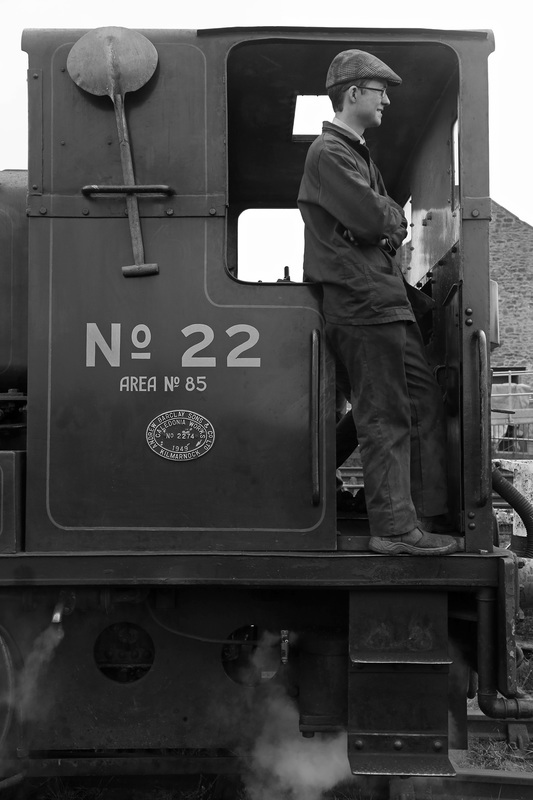 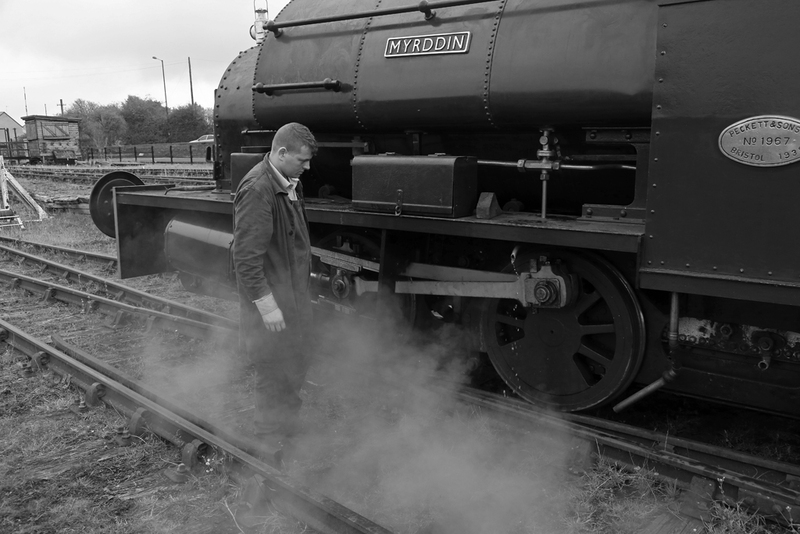 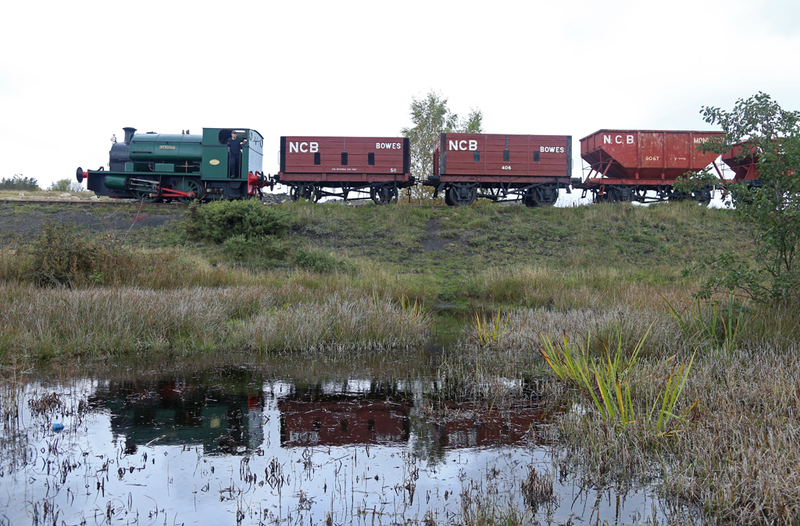 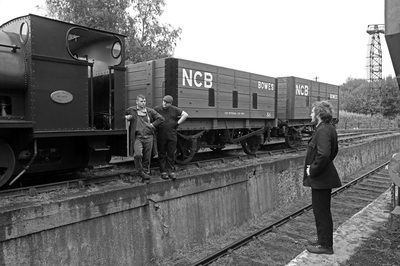 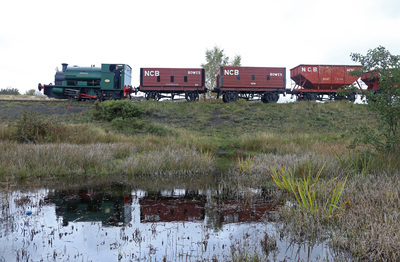 22 in NCB black and visiting Peckett, 'Merlin' in green. 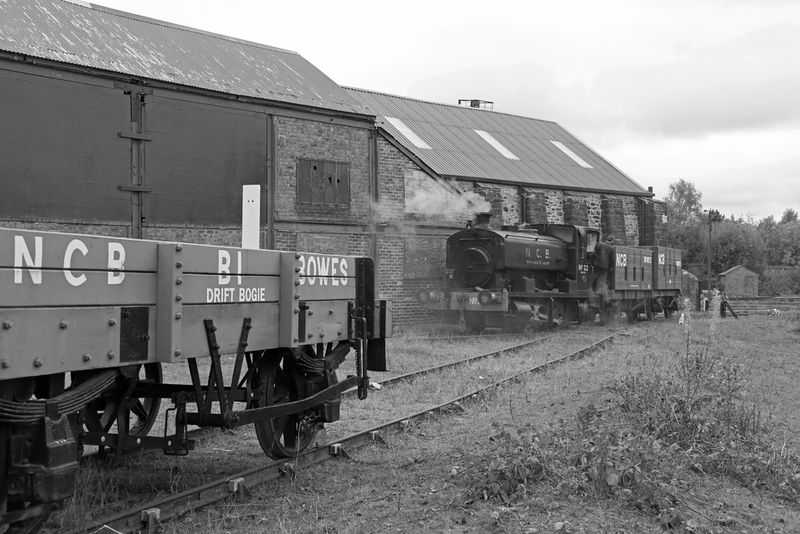 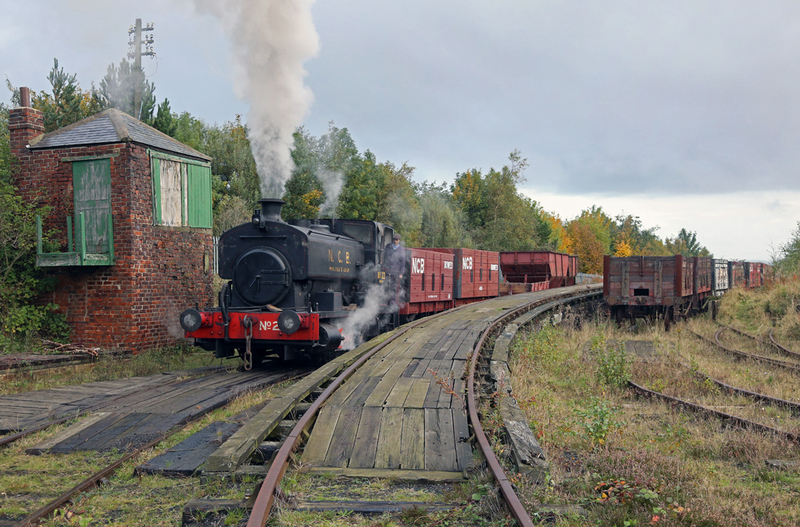 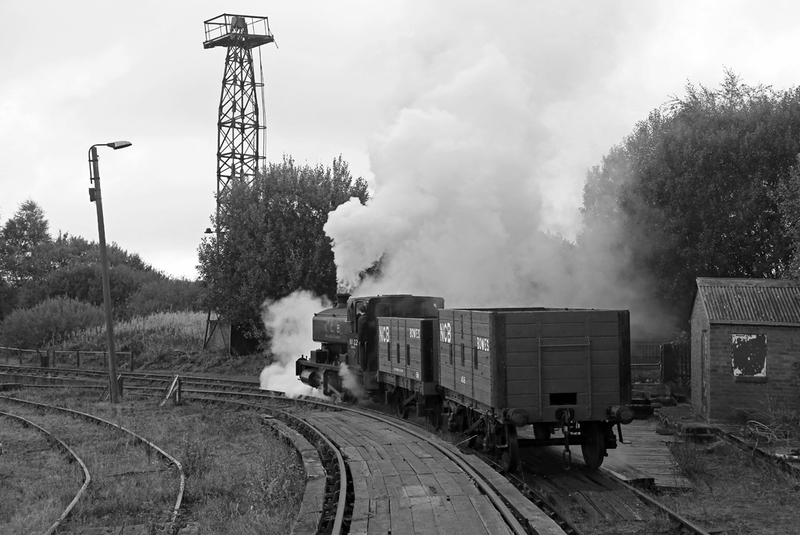 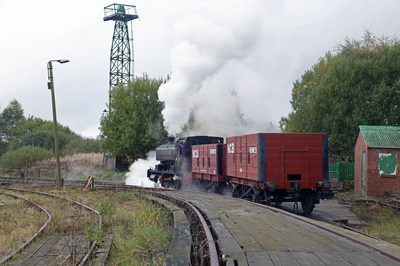 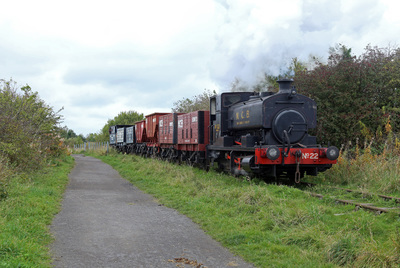 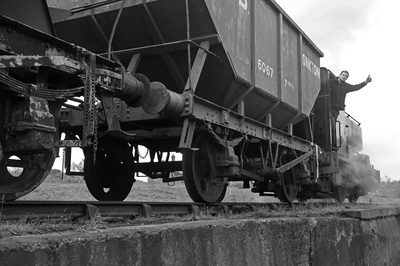 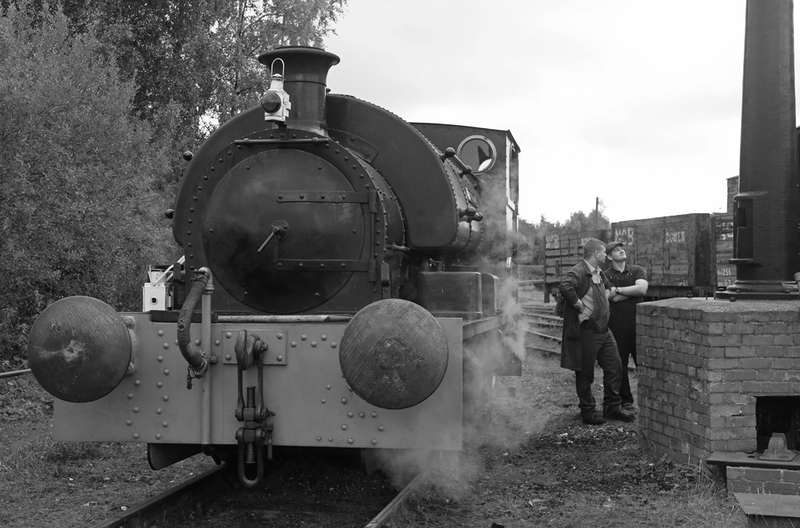 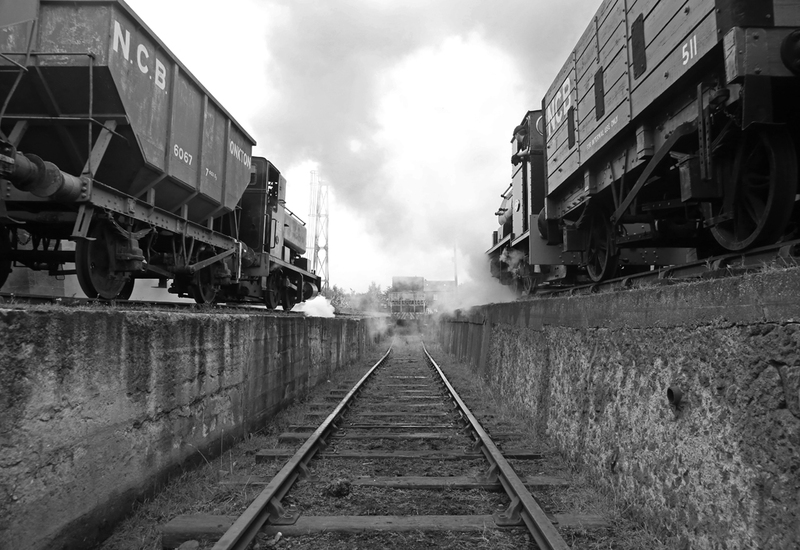 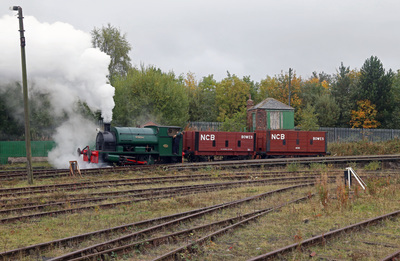 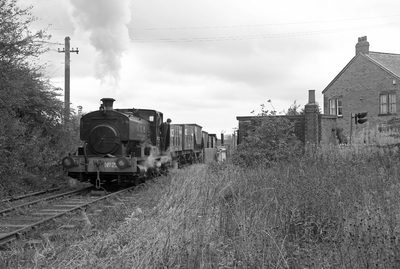 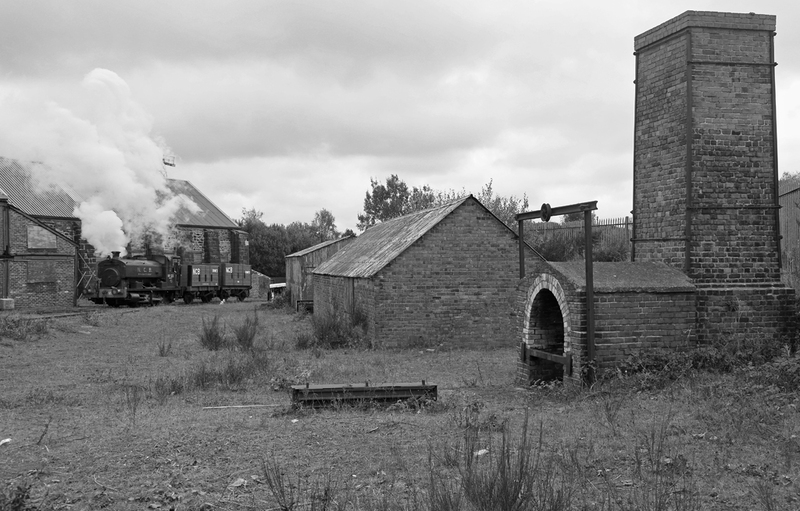 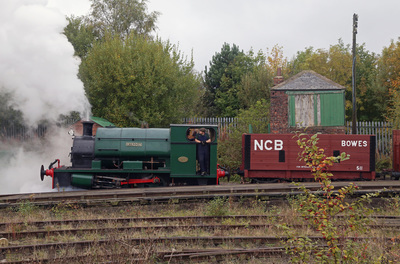 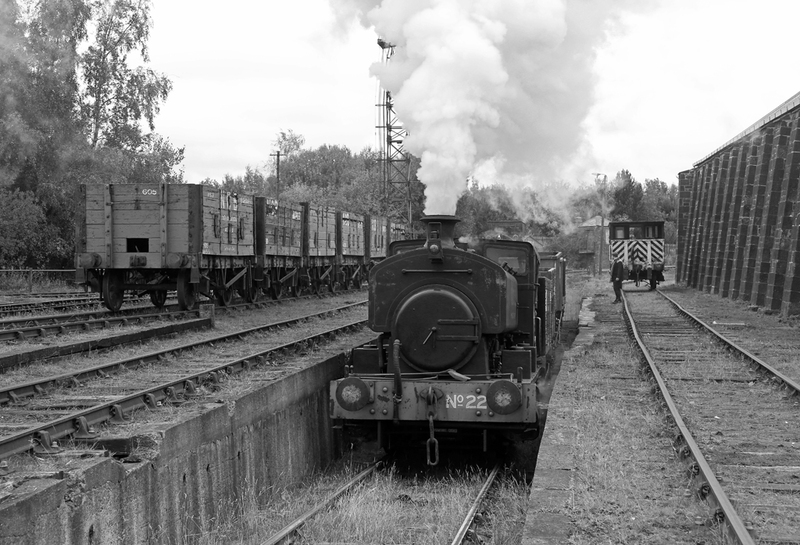 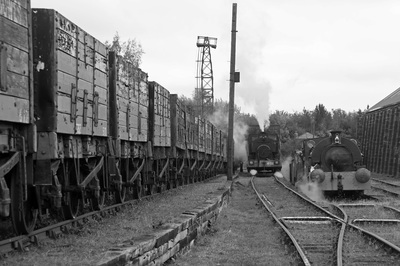 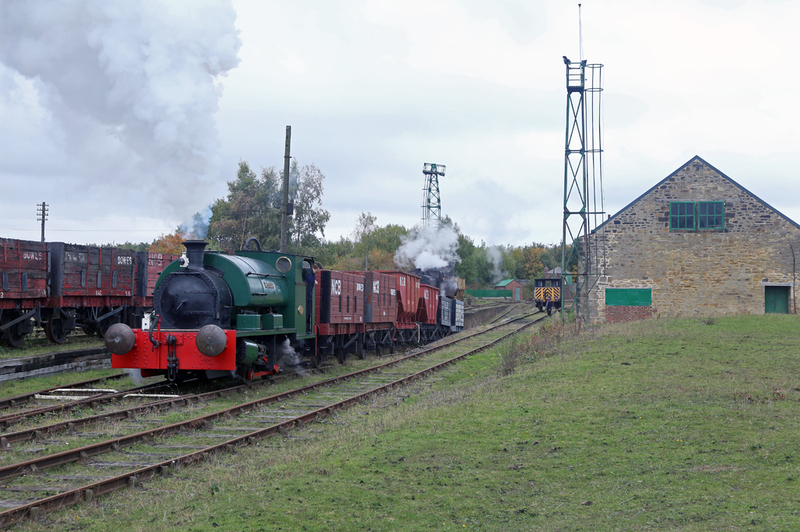 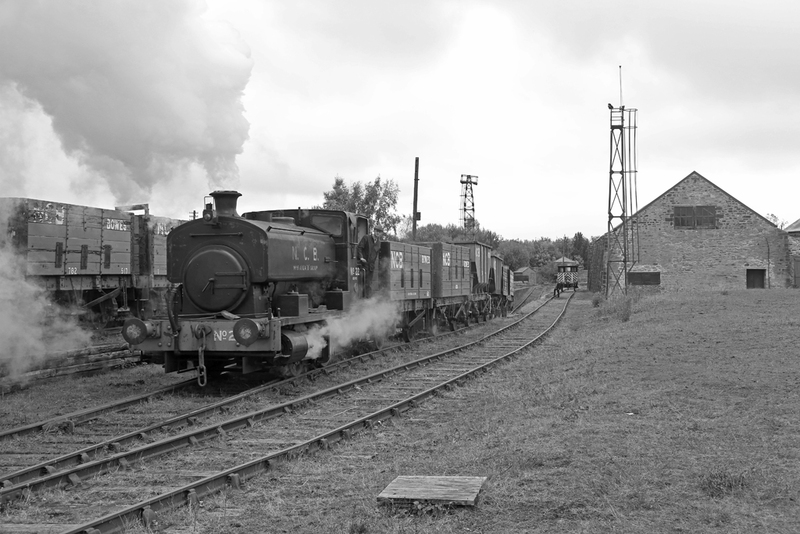 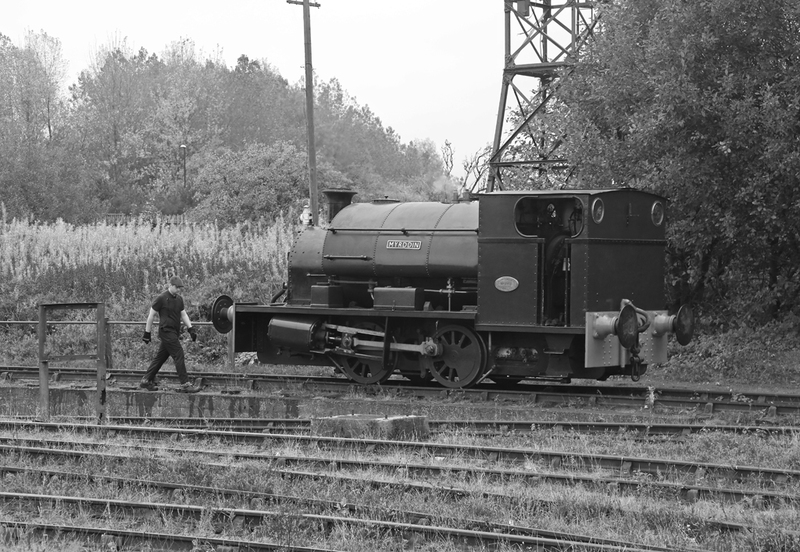 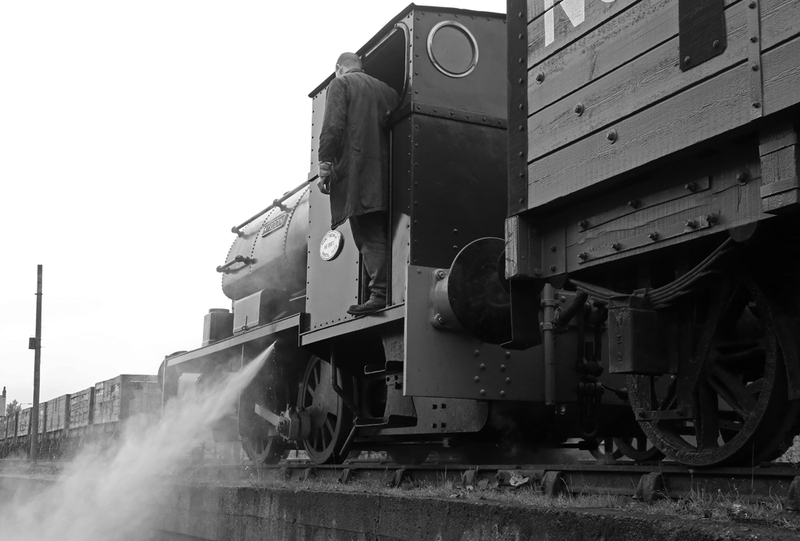 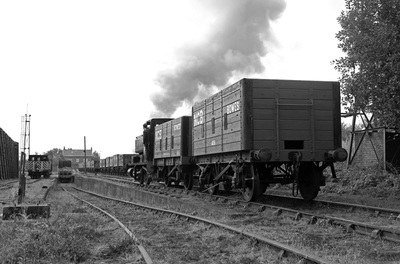 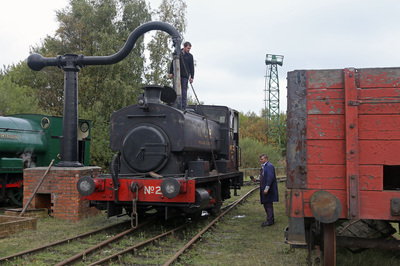 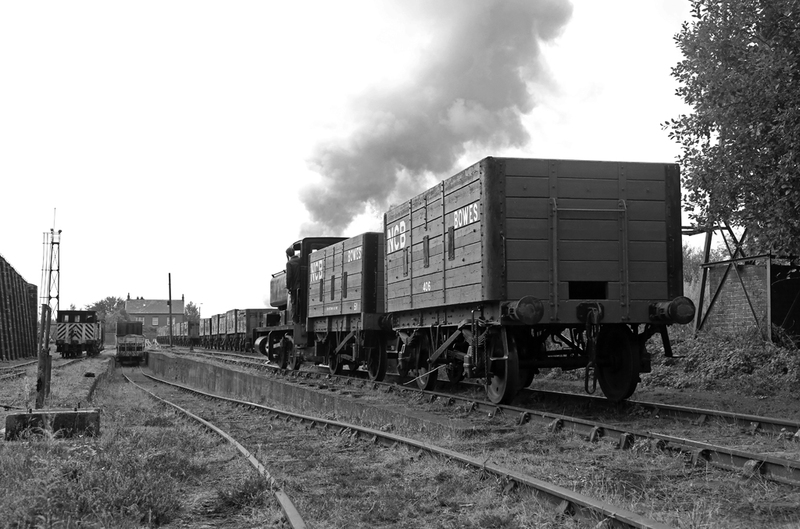 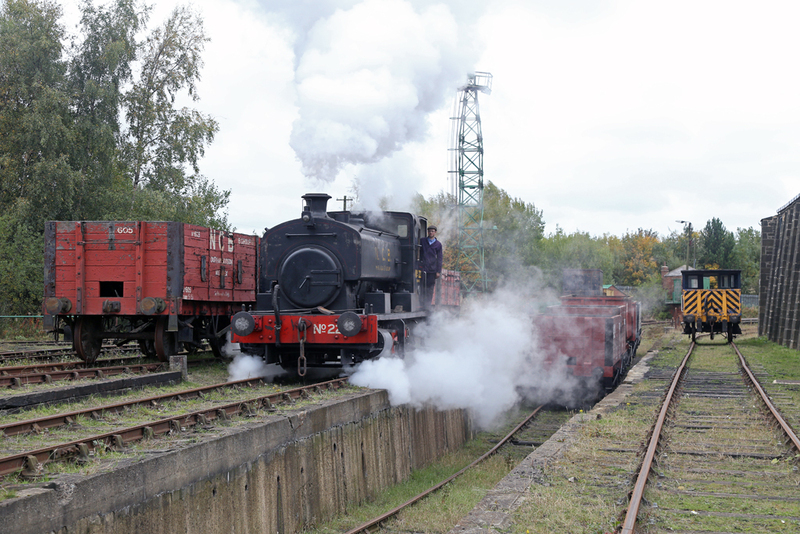 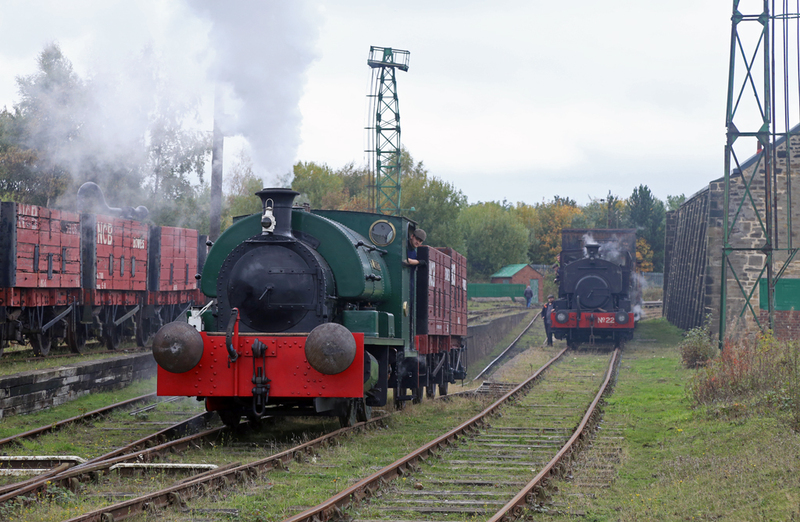 Multiple shunting and cameo scenes were set up in the yard and in the afternoon we ventured out on to the branch, which has seen very little use in recent years. 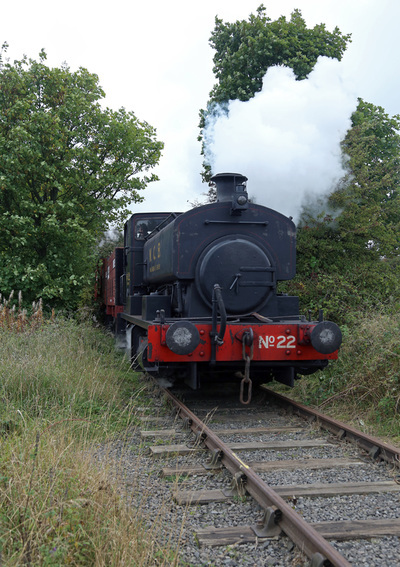 This was evident by the amount of dog walkers using it as a path and children playing on it, all of whom seemed somewhat surprised to see a train puffing along it! 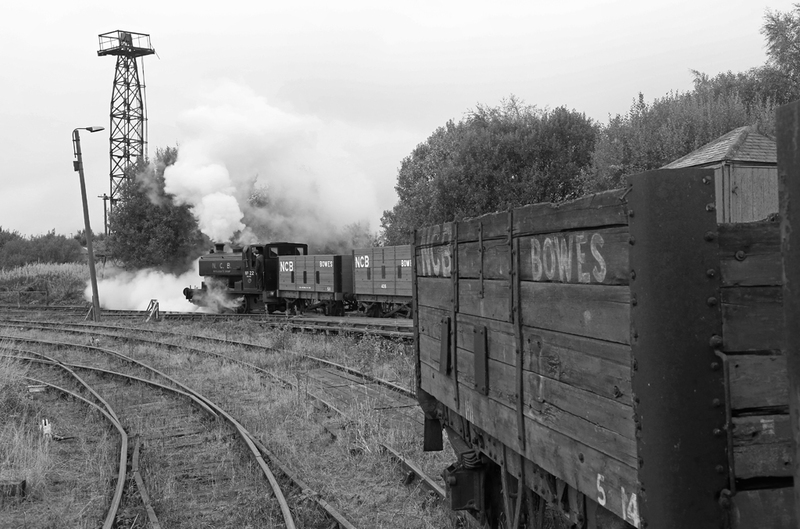 Though the weather was as dull as could be, there was a great deal of atmosphere in the shots and the lack of sun allowed some angles that would otherwise not be possible.